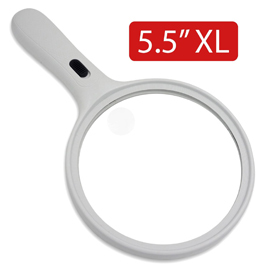 A large magnifying glass with LED light bulb to allow you to see and read tiny words even at night or poor visual conditions. 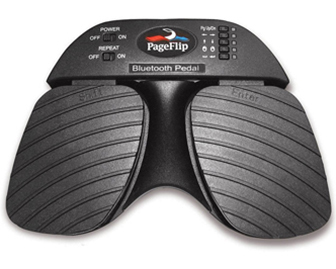 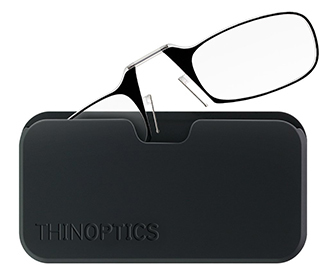 Great for people with macular degeneration or just difficulty with reading fine print. 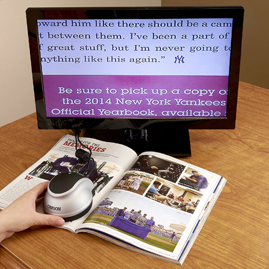 A foot operated mechanism that connects to one’s IPad, android or other digital book reader and can be used to turn pages. 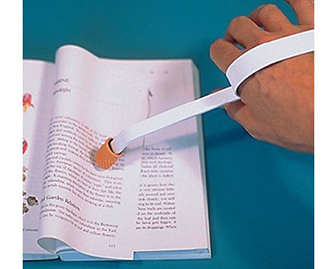 A user with poor hand fine motor abilities or paralysis can be set up with a book and then independently turn the pages.